When you feel confident about your smile, you feel confident about your life. 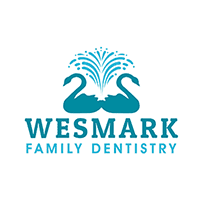 Wesmark Family Dentistry’s highly trained dentists and licensed denturists offer dental implants for men and women of all ages. 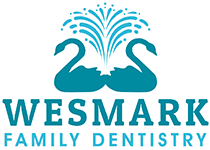 Located in Sumter, South Carolina, Wesmark Family Dentistry’s exceptional team can replace severely damaged or missing teeth so you can enjoy your best smile. If you're ready to learn more, book an appointment online or call for a consultation today. For many adults, having dental implants is the next best thing to having natural teeth. When you lose your teeth as a result of a traumatic injury, decay, or an illness, it can hurt your self-esteem. Strong, durable, and aesthetically attractive, dental implants help restore the simple confidence that comes with having natural teeth. A dental implant is a titanium post that's surgically anchored to your jawbone, beneath the gum line. This is essentially the root of a new tooth. It's similar in shape to an everyday screw. Once the post has been installed and your mouth has fully healed, a process that generally takes a few weeks, the dentist will mount a custom-made crown (replacement tooth) onto the metal post. The implants fuse to your jawbone, so they are strong, stable, and don’t shift in your mouth. These screw-like metal posts can also help crowns, bridges, and dentures stay solidly fastened to your jaw. If you're missing teeth, you may be an ideal candidate for dental implants. Good candidates have healthy gums, and their jaws are finished growing. Dental implants are an excellent solution for adults, not children. You may also be a prime candidate for implants if you're irritated by dentures that slip, or if it's time to replace a bridge or partial dentures. Men or women who desire a more durable, long-term answer to dental work problems may be suitable candidates for implants. Get all your questions about dental implants answered during a consultation with your dentist. Implant treatment might be right for you. Book an appointment online or call Wesmark Family Dentistry to take the first step toward a more confident smile.